This entry was posted in Counterjihad, Domestic terrorism, Holy War, Islamic Atrocities, Israel, News, Religion by Baron Bodissey. Bookmark the permalink. The Philistines of days gone by weren’t any better behaved. “Palestine” was the Romans’ approximation of “Philistine”; they changed the name from “Judea and Samaria” to humiliate the remaining Jews after the sacking of Jerusalem in (I think) AD175, when the surviving inhabitants of the city were deported to central Europe. 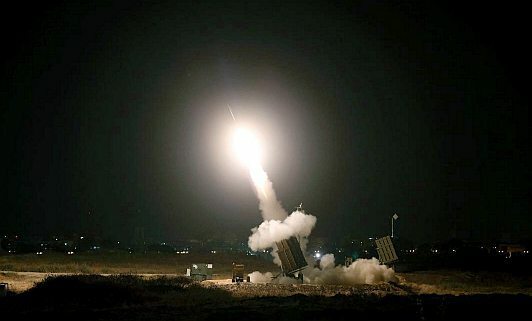 By the rules of war, universally held, if Hamas makes its headquarters in the basement of a a hospital and is using that as a base with which to attack Israel – Israel has a perfect right to obliterate said hospital and it is a war crime for HAMAS and not for Israel. They know perfectly well that Israel won’t do that, even if fully justifiable. Israel would only do that in a “total war” scenario.